Create your hardcover photo book on your computer while we work to add them to our app! Create premium fabric photo books that you will treasure forever. Covered in beautiful Italian fabric, the hardcover of these photo books will feature your personalised title on the cover and spine in our artisanal hot foil stamping. We currently offer three colours for your fabric hardcover photo books: an elegant peacock green, a trendy mustard yellow and a timeless natural grey. We have chosen these high-quality Italian fabrics for their elegant colours and also for their ability to stand the test of time. Our green and yellow fabrics contain a mix of cotton and viscose, whilst our natural grey fabric contains linen. As well as our durable fabrics, the impeccable finishing touches make all the difference when it comes to these premium photo books! We have chosen the colour of both the binding headbands and hot foil stamping to compliment the colour of your personalised hardcover photo books beautifully. 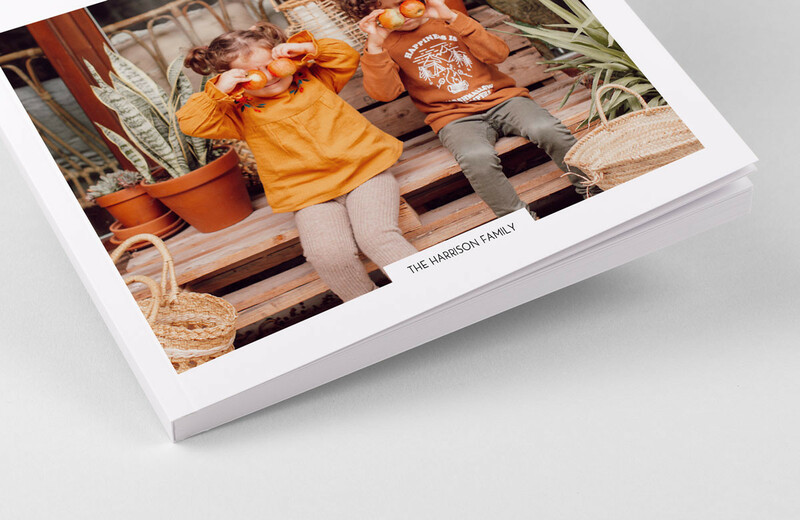 The worlds of high-end craft printing and personalised photo printing have finally come together in the creation of our fabric hardcover photo books. More than just a photo album, these premium hardcover photo books help you to immortalise your favourite memories on high-quality paper, bound inside a hardcover of fine Italian fabric. 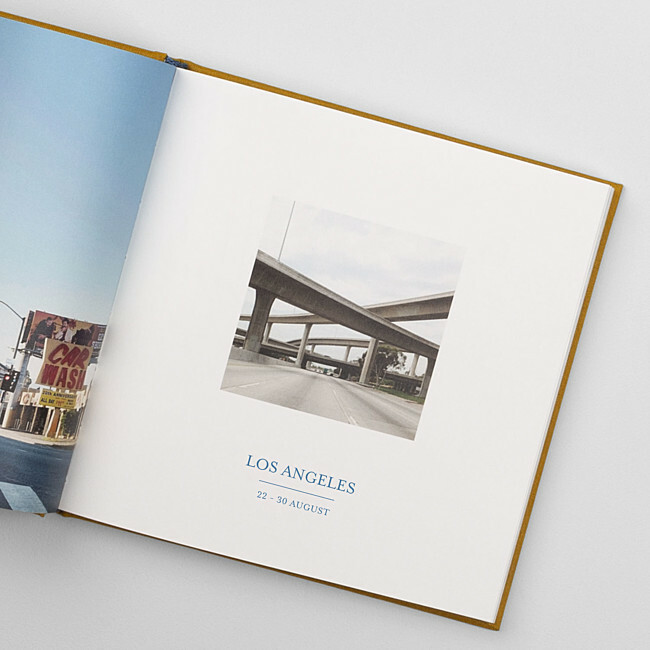 These luxury photo books will allow you to showcase up to 88 pages of your favourite images, doing justice to some of the happiest chapters in your life! 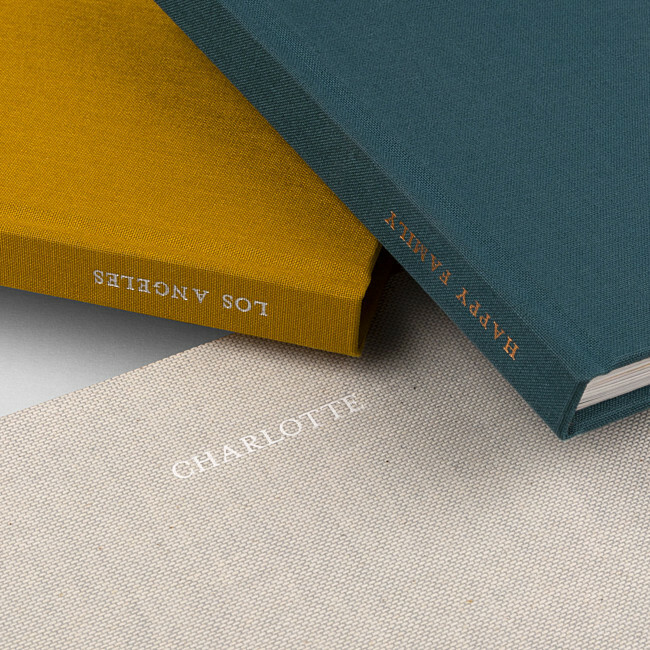 Our fabric hardcover photo books are currently available in three elegant colours, which will soon be joined by a range of other chic and timeless shades. We take care of your hardcover photo books from start to finish, guiding you through the creation of your photo book before proofreading your text and optimising the quality and layout of your photos. Your photo book will then be printed and bound at our very own printing studio, where we also assemble our luxury fabric hardcovers. 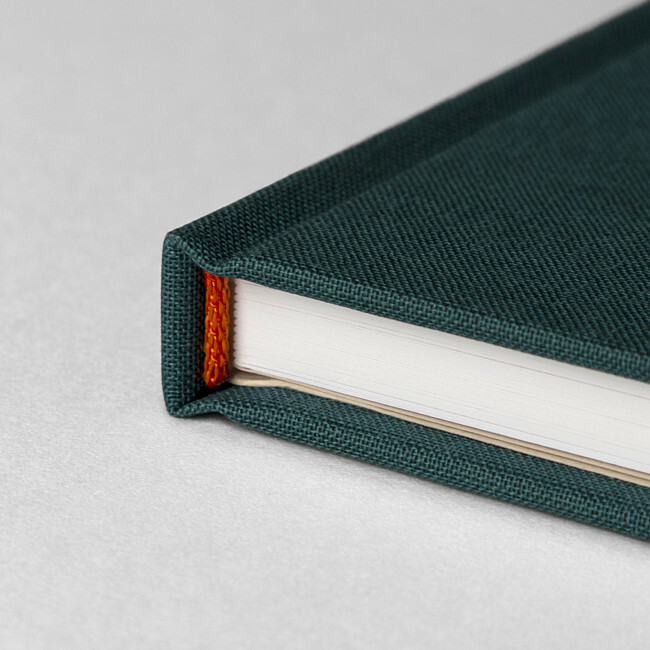 We sew your pages together to create layflat-style photo books and finish off the binding with a headband designed to match the colour of your album. We will then apply your personalised title to your photo book cover and spine, using artisanal hot foil stamping techniques. Every step is undertaken with care and precision, treating your photo book as if it were our own, doing everything that we can to ensure that you will treasure your photo book! Here at Rosemood we absolutely love high-quality paper! This is why we searched high and low to bring you the best possible paper for your fabric hardcover photo books! We carefully selected two beautiful paper types for you to choose from: smooth matte paper and textured ivory paper. Both of these papers guarantee an impeccable finish for your photos and you will be able to feel the high quality of your paper as your flick through your favourite memories. We love to see your photo books! We offer three colours for our fabric hardcover photo book, allowing you to choose the one that you like most and that best suits your special occasion. Create your unique hardcover photo book with your personalised text featured on the high-quality cover in our luxurious foiling. Our hardcover photo books are printed and assembled at our very own printing atelier, making them a true labour of love. Our premium photo books will allow you to immortalise your important milestones, whether that be your wedding day or the birth of your little one. 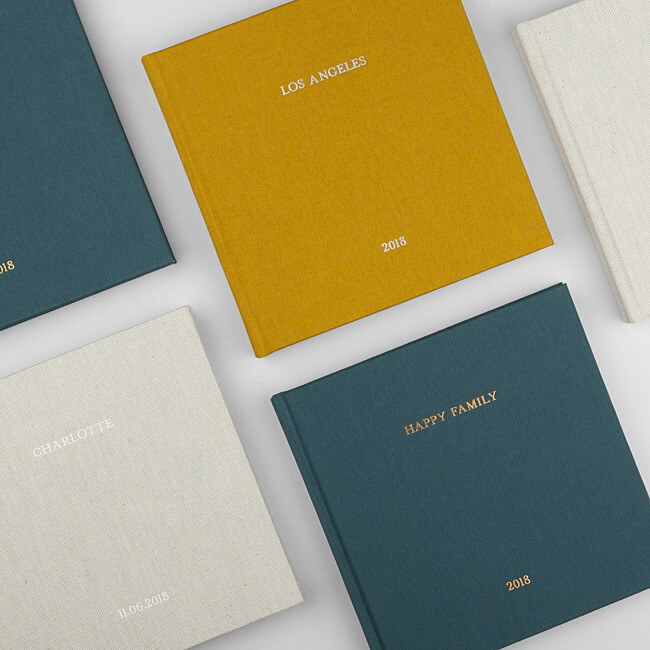 Treat your loved ones to luxury photo books to create personalised gifts that they will treasure forever. 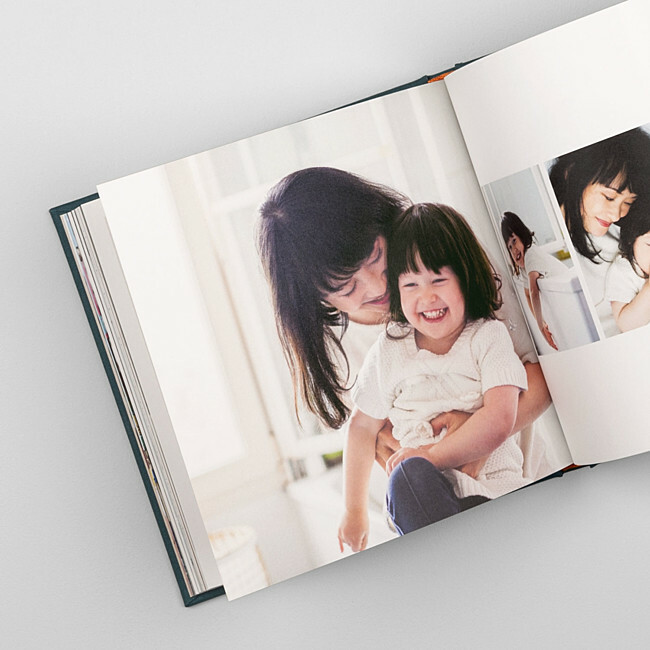 Create your personalised hardcover photo books online, uploading your favourite photos and choosing the layout of each and every page of your album. 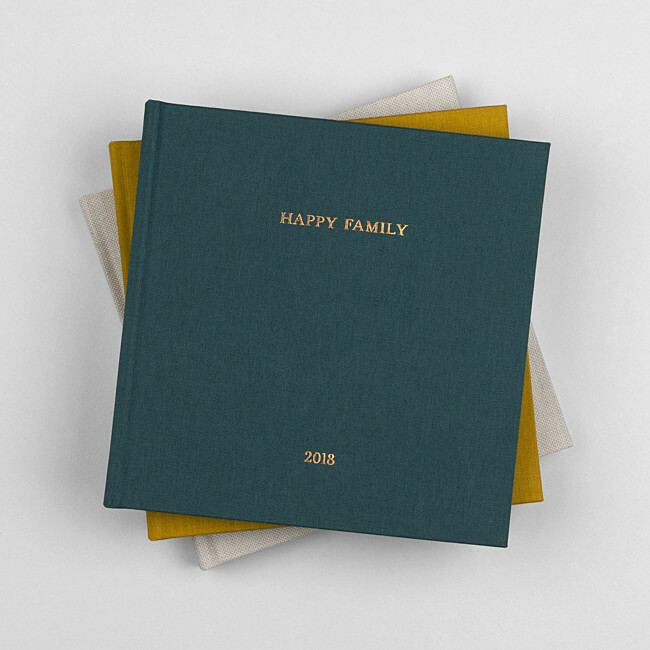 As always, our friendly customer service team are on hand to help you create your hardcover photo books so do not hesitate to get in touch by phone, email or online chat.